Winter has unofficially arrived in Edmonton. Heavy snow fell over the weekend and city roads have been blanketed with more than 20 centimetres of the white stuff. It wasn't long after that small armies of snowplows and graders hit the city streets. Winter has unofficially arrived in Edmonton. Heavy snow fell over the weekend and city roads have been blanketed with more than 20 centimetres of the white stuff. It wasn't long after that small armies of snowplows and graders hit the city streets. 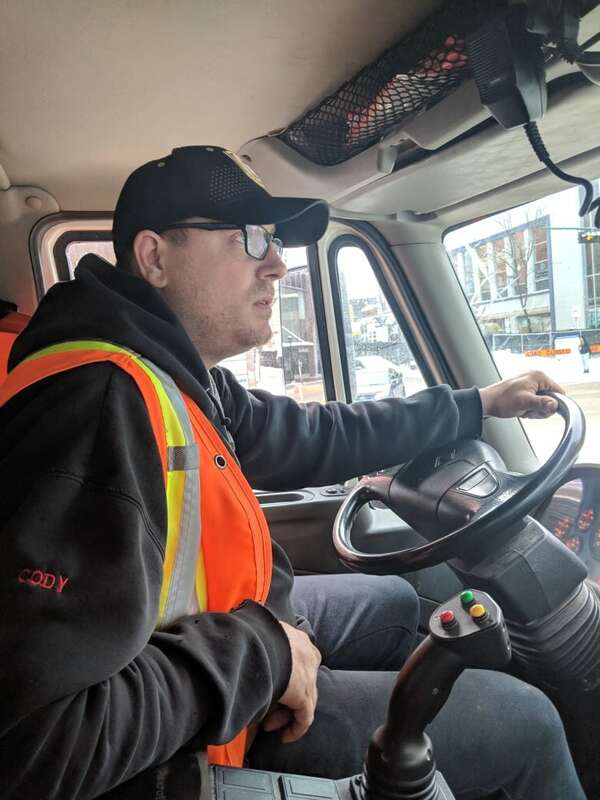 Cody Cullinan, 34, is a City of Edmonton snowplow operator. 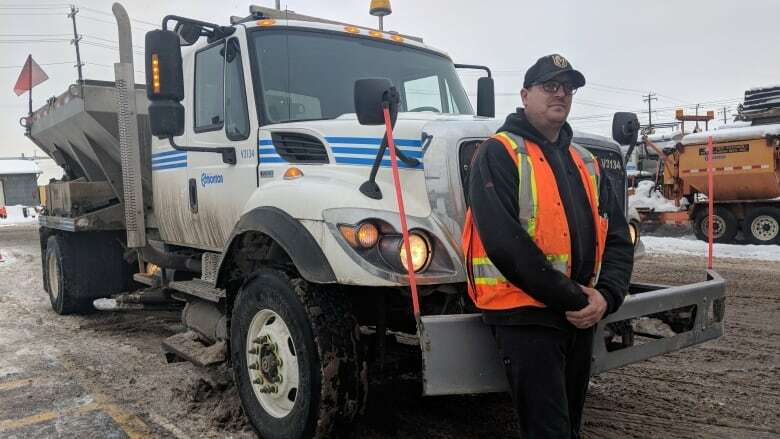 Standing tall and wearing black-rimmed glasses, a neon orange safety vest and a Vegas Golden Knights baseball cap, he's taken to the streets of Edmonton for the past four-and-a-half years ensuring the snow is cleared. It's a job he loves doing. "I lose track of time when I'm doing this because I enjoy what I do so much," Cullinan said. "It takes a certain person to be able to sit at a desk and do that kind of work, but that's not the kind of work for me." The days can be long — sometimes shifts can be 12 hours long. 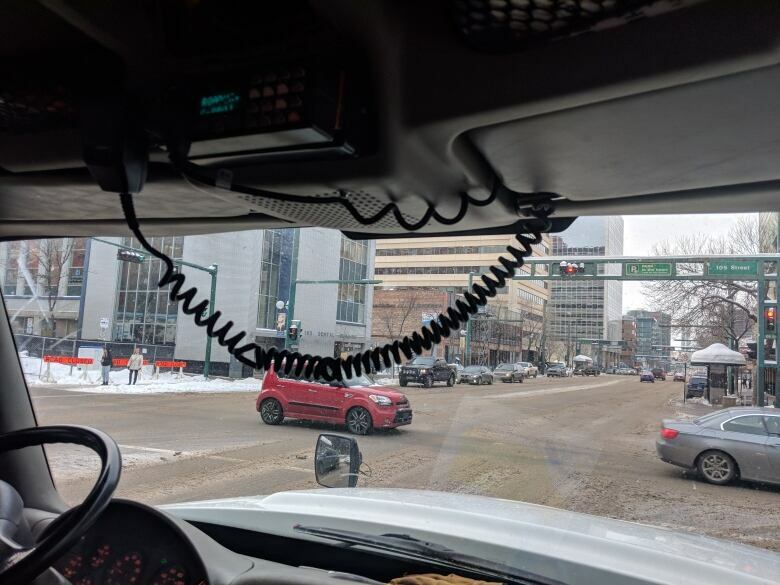 If there's a big snow dump, he can sometimes start at 3 a.m.
As he weaves his City of Edmonton plow in and out of downtown Edmonton's streets —​ manoeuvring​ through some of the narrowest of alleyways — the blades on the bottom of his truck sharply push the snow aside. Cullinan said his family is proud of the work he does. "My kids actually call me Mr. Plow, so it's actually quite funny," Cullinan said with a bit of a chuckle. "They like to brag to their friends about what their dad does. And it's quite exciting when I get a route around their school. "And I make sure I time it right when they're out on recess and I'm just doing around the school, so they can see me and brag to their friends about it." Of course, not all Edmontonians appreciate the work that Cullinan and other snowplow drivers too. The large trucks and graders slow down traffic and impatient drivers try to weave their way around his truck. "Some people are extremely grateful. Then you have the others who think you're just a city worker, but then you explain to them what your job is and what it entails. And then they're more understanding," he said. "It's just a lack of knowledge is what it comes down to. What the public sees is just a bunch of trucks driving around. But there is a lot that's actually happening when you see one truck driving around. It means that there is a lot to be done in that area." This is just the start of the season. Between now and the end of winter, Cullinan will regularly be hitting the streets of Edmonton. "We're all the snow superheroes," he said.